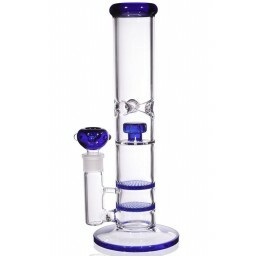 The Khalifa Tower - 17” Double Honeycomb to Turbine Percolator Combination -The Greatest Online Smoke Shop! 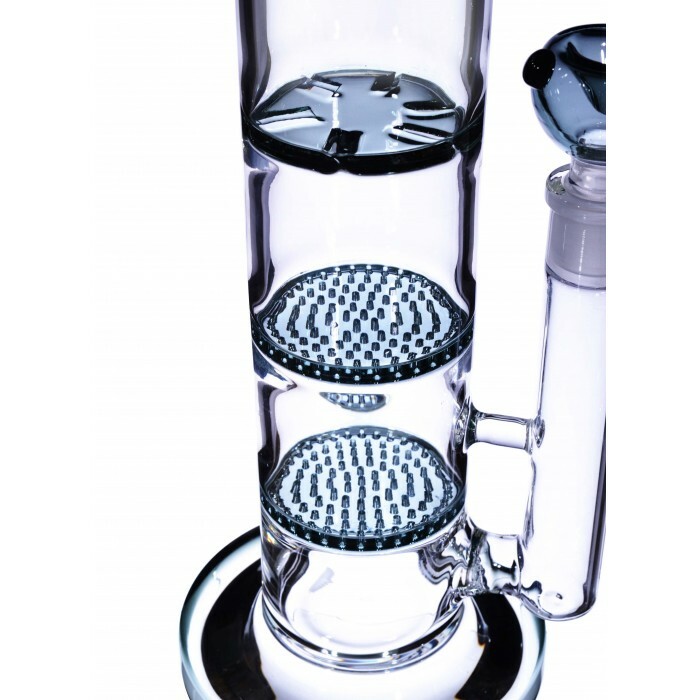 Extra powerful double honeycomb to turbine percolator combination for cool, filtered smoke. 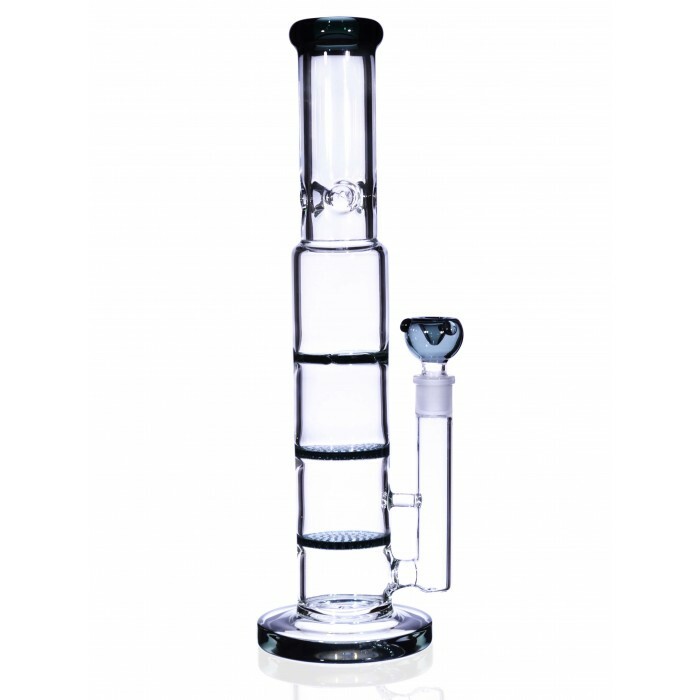 Blown with premium 8mm thick high-quality glass. Tall, sturdy design and wintergreen color for a standout and unique look. The female joint size of this pipe is 19mm. 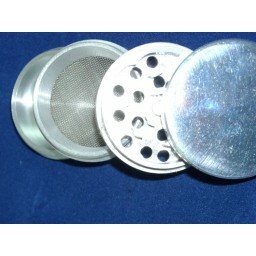 Also includes a matching 19mm dry herb bowl. Blown in 2008, the Khalifa Tower is the tallest standing water pipe in the world. 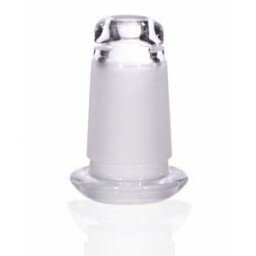 Okay, that’s not entirely true, but this overarching, tall, and stretching piece has a powerful presence blown precisely to provide a strong filtering system for a refreshing, enjoyable smoke session. 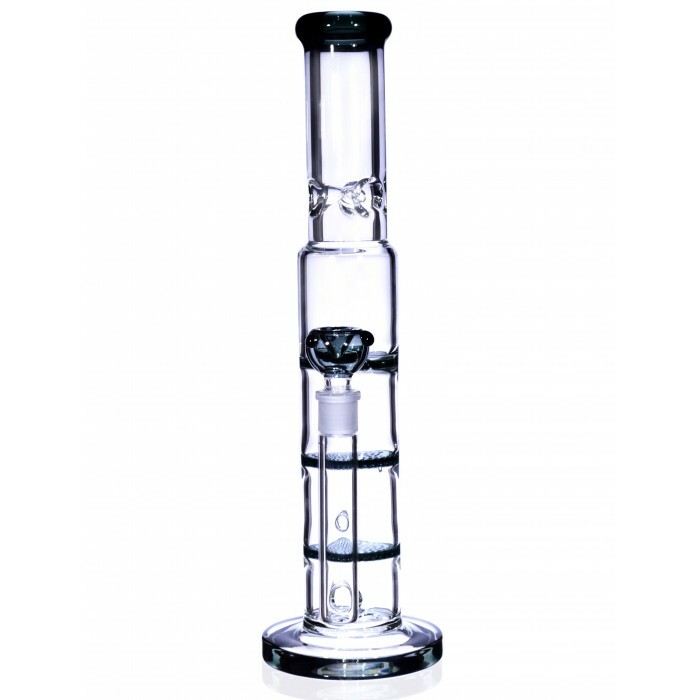 Not only is the Khalifa Tower pipe blown with premium, 8mm thick high-quality glass, but it has a double honeycomb to turbine percolator combination that will dramatically cool and smooth out the smoke before it hits your lungs. 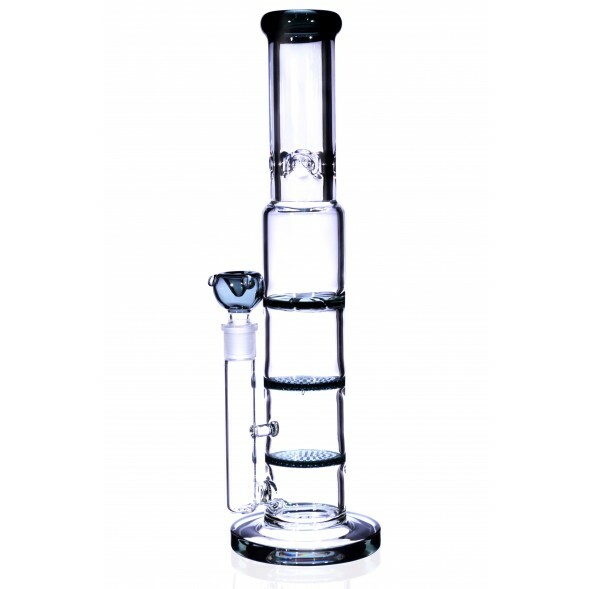 Don’t be intimidated by the sheer size and height of this towering piece. 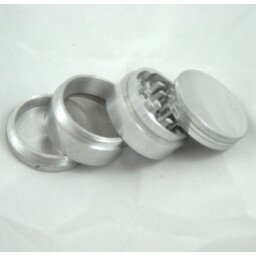 In fact, the entire design is there to provide you with an easy, cool, and refreshing smoking experience. 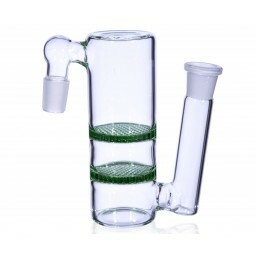 This sturdy piece has two honeycomb percolators to break down, thin out, and cool down the smoke. Then, though, the smoke will also go through a powerful turbine percolator. The turbine will further cool down the smoke for easier intake. 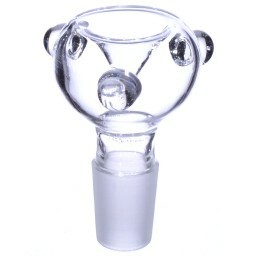 As if that wasn’t enough, there is also a strong ice-catcher blown into the neck so you’ll have the option to further cool down your smoke even more. 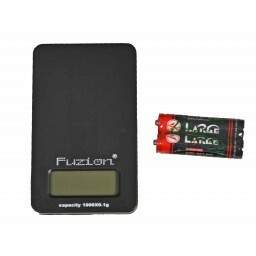 The idea here is to give you a chill, cool, and easy smoking experience.  This is a standout piece that comes in a Beautiful color combination that brings it all together. Color may vary. 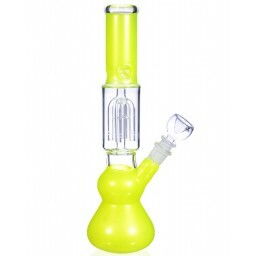 This pipe has a 4.75” base, a 2.75” water chamber, a 19mm female joint, and it includes a matching 19mm dry herb bowl.